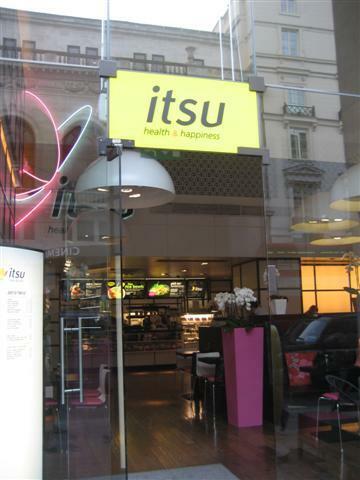 Itsu’s motto is health and happiness and that is exactly what it delivers, in my eyes. The calming atmosphere is created with the help of its beautiful orchids, spacious dining area, booths, and the pink and brown decor. 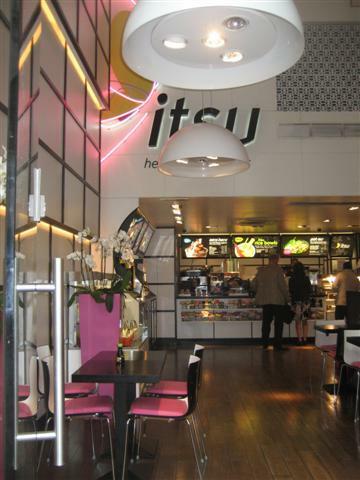 At Itsu, you have to go to the counter to order your meal. This is convenient if you want something quick but healthy at the same time. The menu is not huge but has enough choice. They recently updated the menu so now it includes hot rice dishes, cupcakes, teas as well as the original noodle soups, ready boxed sushi, salads and frozen yoghurt. On this particular visit, I chose the vegetable dumpling pot-su. Itsu calls this a complete meal in a pot and it is a definitely that. 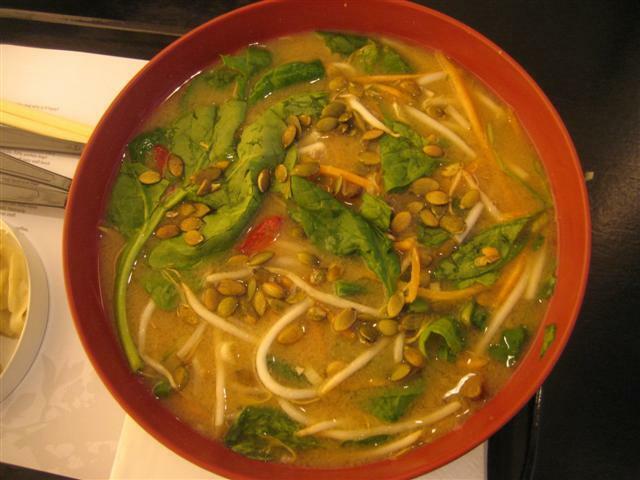 The base is the dynamite soup with carrots, ginger, beansprouts and pumpkin seeds. It also has vermicelli glass noodles which are also known as mung bean noodles. These are lighter than udon noodles and they are also gluten free. The vegetable dumplings are of a good size and they are steamed. They are usually served in the soup but I prefer them on the side. The pot-su is a really filling and warming soup. The soup has strong flavours and also is slightly tangy. The vegetables, dumplings, noodles and the dynamite broth is a match made in heaven. Itsu uses low sodium soy sauce in their food. The staff were ok and were fairly helpful.